We've been seeing a lot of brands get facelifts lately, starting with the change of logos. More often than not, these tweaks aren't met with warm welcomes. Same goes for fast fashion brand Zara. It was designed by Fabien Baron, creative director of Baron&Baron. 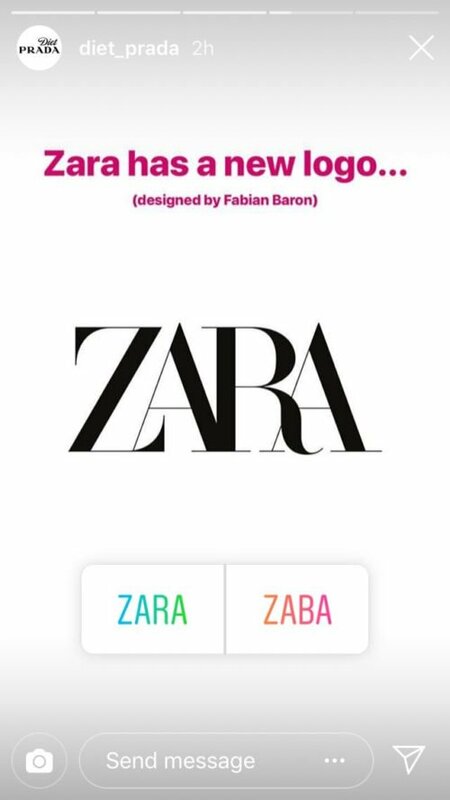 Diet Prada posted a few shots on IG Stories, pointing out that it reads more as ZABA than ZARA. Yeah, Diet Prada, I agree. This condensed logo looks messy and unrefined. Maybe they wanted to save space on their labels and tags. How do you feel about this change? Are you here for it or do you want the old Zara back?